These days most operating systems have a “Do Not Disturb” feature even though it may be called differently. In iOS, Do Not Disturb can mute notifications, calls, and messages so you can focus on your work or get some rest without your phone bothering you. 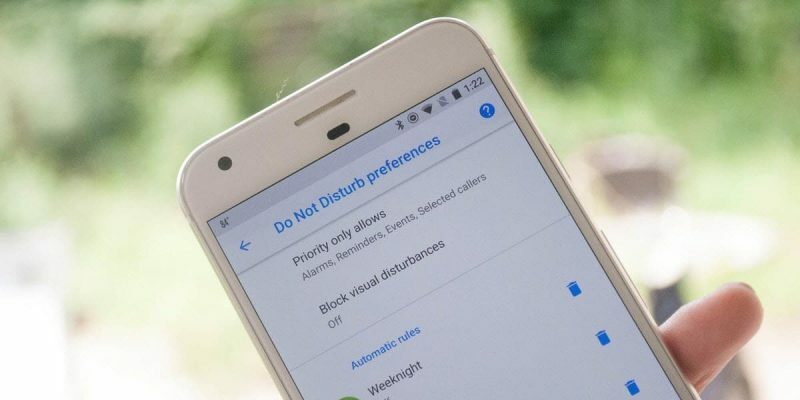 Of course, there are other rougher solutions such as enabling Airplane Mode but Do Not Disturb offers some useful customization options in case you don’t want to become completely cut off from the rest of the world. One of the things you might want to do if using this feature is to allow specific contacts to bypass “Do Not Disturb” in iOS. First things first. 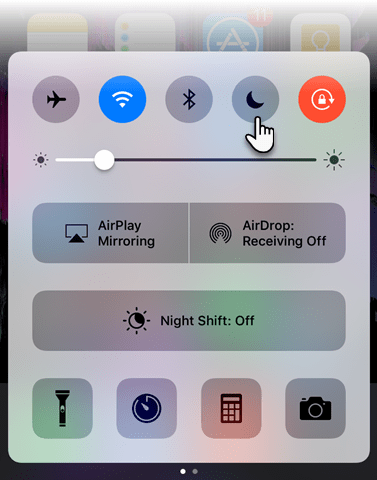 If you’ve never used Do Not Disturb, you can quickly enable it from the Control Center. You just need to swipe up from the bottom of the screen to display the Control Center and tap the moon icon. The main function of Do Not Disturb is to prevent calls, messages, and notifications from bothering you. However, it can also be set so only some people can contact you. It’s possible to allow a certain contact group or a favorite contact to bypass Do Not Disturb. 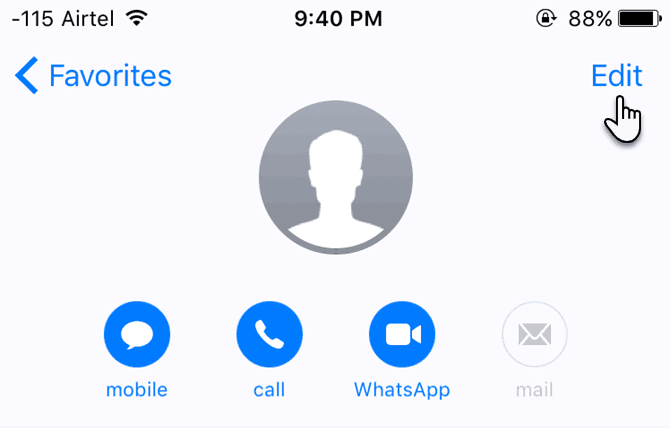 Open your Favorite Contacts list and select a contact you’d like to be able to reach you even when Do Not Disturb is enabled. On their detail page, click the “i” icon then tap the “Edit” option in the upper-right corner of the screen. To continue, click the arrow next to Ringtone. 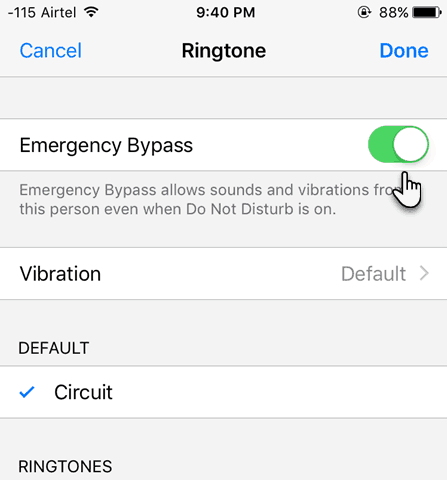 On the Ringtone screen, enable the “Emergency Bypass” option. From now on, all calls you receive from this contact will reach you even if Do Not Disturb is enabled. 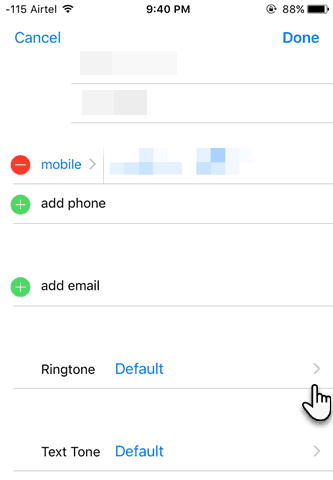 If you’d like to also receive messages from this contact, return to their Edit screen but instead of the arrow next to Ringtone, tap the one next to Text Tone. Do Not Disturb can also be set to allow calls and messages from a certain contact group or all your favorites. As you can see, it’s really worth customizing Do Not Disturb. Once you have it set up properly, you can even set a schedule. To do that, go to Settings -> Do Not Disturb -> Turn on Scheduled. There, you can set a time and optionally enable the option called “Repeated Calls”. This will allow someone that calls you twice within three minutes to reach you.